Do you want the great benefits of a foam mattress and the efficiency of springs? Well, look no further… Octaspring mattresses offer you the best of both worlds, at a great price. You’ll get the support your body needs, along with the comfort, to make sure you get a fantastic night’s sleep every night. With 8 times more breathability than a normal memory foam mattress, you won’t have to worry about getting too hot or uncomfortable in the night. You can still choose which firmness you’d like – soft through to firm – so whatever your personal preference, there’s a Dormeo Octaspring mattress for you. What about a Dormeo Octaspring pillow or topper? As well as getting a mattress that’s going to mould to your shape, proving the support you need exactly where you need it, you can also get Octaspring pillows and toppers too. Just like the mattress, they’ve been specifically designed to ensure maximum comfort and breathability – so you get the good night’s sleep you deserve. If your mattress isn’t delivering the support you need and you’ve started to get aches and pains (perhaps your springs have started to dig in over time), an Octaspring mattress is the answer. You can even arrange to get your old mattress removed! Take a look today and find the mattress solution that works for you. And if you’re not sure which mattress best suits your needs, don’t worry; the team at My Next Mattress are here to help. Just get in touch and let us know what you’re looking for and we’ll steer you in the right direction. The Dormeo Octaspring collection has been very popular since it's introduction a few years ago. This new range of revolutionary mattresses takes existing mattress philosophy and turns it on it's head. The springs are designed to act and work like Pocket Springs, except they are made from foam. This 3D construction allows for significantly improved air flow, helping the mattress stay cool. Also - we offer our famous 14 night sleep trial on all Octaspring items! So if your new Octaspring mattress is not quite right - tell us, we can exchange it or collect it for a refund! 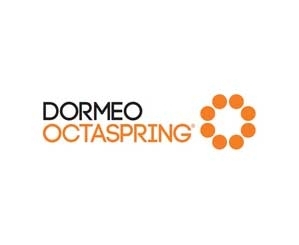 Octaspring Mattresses in Stock!The Octaspring collection is Dormeo's most popular range of mattresses, and we try to stock them in the most popular sizes, we also aim to offer the very best price you'll find anywhere! We pride ourselves on offering the best price, service and speed of delivery, but if you find a better price elsewhere - please let us know, and we will offer our Price Promise.